So, you have landed that top internship in New York City and you’re settling into professional life. But, a placement, graduate scheme or internship may not last forever. At the conclusion of your placement your time in NYW will come to an end however, if you make the right impression whilst working, you may increase your chances of prolonged employment. Although a full-time occupation at the end of an internship is not always a guarantee immediately, if you impress you may be a prime candidate for future positions. It is vital to make connections and networks whilst participating in a work scheme. Such networks can help you secure employment in the future in-house or with another company, serve as fantastic referees or offer you indispensible advice. Effective networks are built within the office environment and outside. As well as being a great employee, your colleagues will be more responsive to helping you if they also like you personally. After work drinks are a great opportunity to not only discuss business, but to also demonstrate that you are personable. 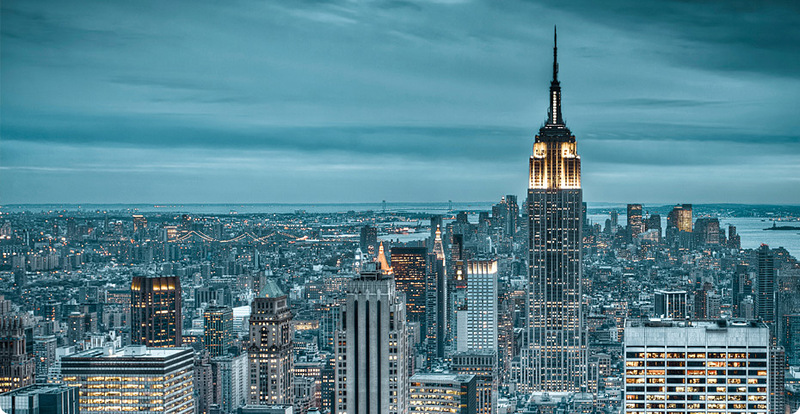 NYC offers thousands of suitable institutions where you can impress, relax, work and play. From renowned establishments to brand new exclusive haunts, if you can suggest some top places to your colleagues, you will certainly be in their good books. Behind a plain glass door with no address or number, just the bar’s insignia, is one of New York’s newest cocktail bars. With a feeling of exclusivity, this elegant establishment is a great place to surprise your NYC colleagues who may not know about it themselves! Located in New York’s SoHo district, Pegu refined cocktails menu is filled with quality and inventive creations. The adventurous combination of ingredient will be a good conversation starter to ease any initial nerves on your part. Ideal for a quite after work coffee or going over a presentation with a colleague, the Ace Hotel Lobby Bar is airy and light with modern decor and a retro twist. Popular among young professionals, the space juxtaposes the industrial and the homemade, the old and the new to create an inspiring space; great for creative professionals. Free Wi-Fi included, the Bar’s expertly brewed coffee is the perfect accompanied to planning your latest project with your colleague. If all goes well you can continue the talks over a beer and dinner. Currently New Yorkers prime destination for work drinks, the award-winning The Dead Rabbit is located at the heart of the financial district. Designed to embody old New York and its strong Irish traditions, The Dead Rabbit is perfect for fun, relaxed drinks to the tune of traditional music. Split between the downstairs Taproom bar, with beer, whisky and bottled punch, the upstairs Parlour is renowned for its cocktails and food. The Carnegie Club is not somewhere you will be visiting regularly but, if you are looking to impress an employer of particular importance, this is the place to go. This refined and classy cocktail come cigar lounge is frequented by a professional and slightly older crowd for relaxed drinks and civilised conversation. To the sound of jazz, be transported to another era and sip rich spirits or fine wines whilst you convince the top boss you are worth investing in.